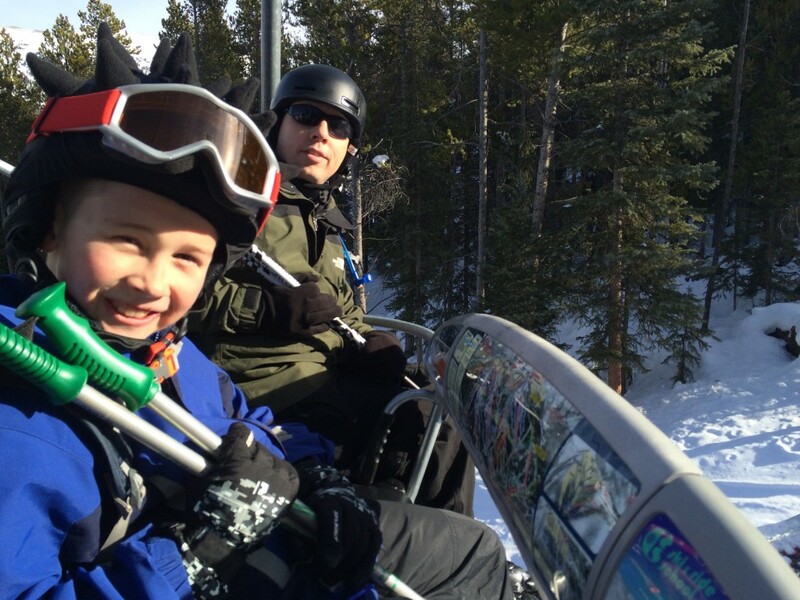 My boys on the ski lift! 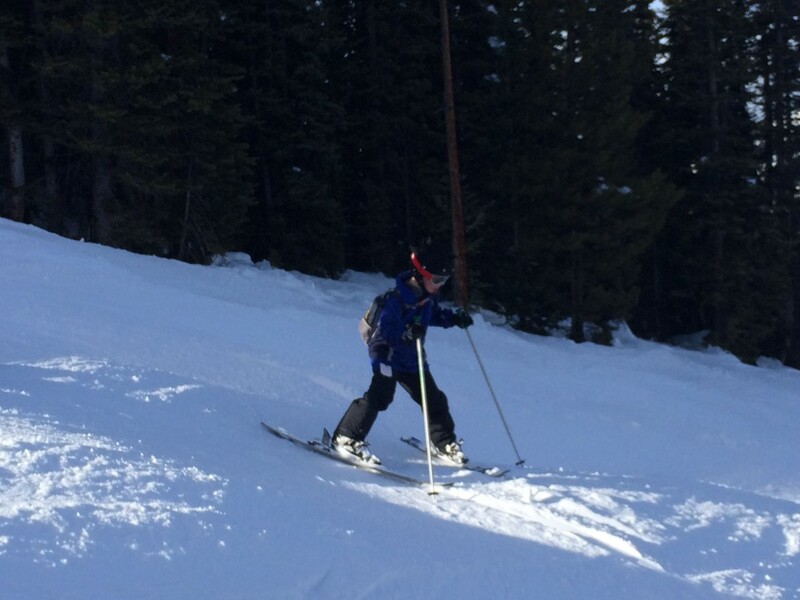 Earlier this month our family took advantage of a local Boy Scouting promotion called “Scout Family Day” at Copper Mountain Resort. A day lift ticket, breakfast, and lunch all for $32 per person! I had to clarify that this is “Copper” and not “Cooper” because I wrote about Ski Cooper last season. Ironically, the two resorts are very close to each other. It was our first ski trip of the year, and all four of us were on newer, longer skis so we had to take a bit to work the kinks out of our system. While Jacob stayed on the more tame trails, Timmy immediately wanted to challenge himself, so Dave and I took him down a mogul run. He did fantastic! It was slow going, but he wasn’t afraid and conquered the run like a boss! 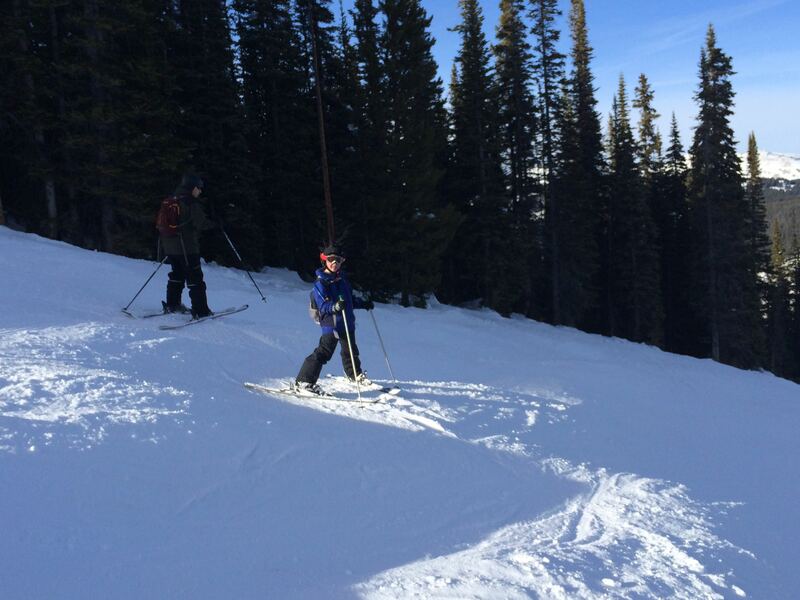 We’re so proud of Timmy trying out moguls. He did really well! Our family got passes to Monarch Mountain for this year, and starting this week we will be spending most of our skiing time there. It’s smaller and more “cozy”, yet still has some wonderful trails. Perfect for younger kids to ski on their own. But we’d be happy to return to Copper. Copper Mountain is a larger resort with plenty of lodging, restaurants, and very conveniently located off I-70 near Frisco, Colorado. We enjoyed it quite a bit.